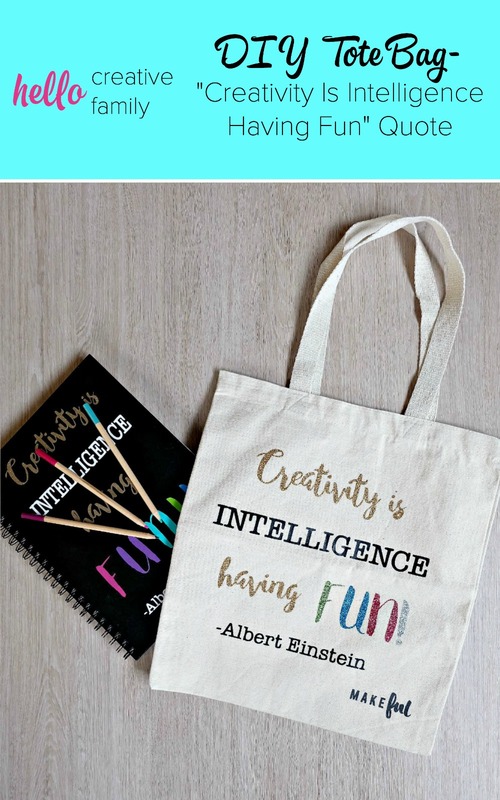 I’m obsessed with the quote “Creativity is intelligence having fun” by Albert Einstein. The line makes me so happy, I’m constantly searching Pinterest to see how different people interpret the quote and put their own creative spin on it. I recently was playing around with some hand lettering fonts on my computer and decided to make my own version of the quote. 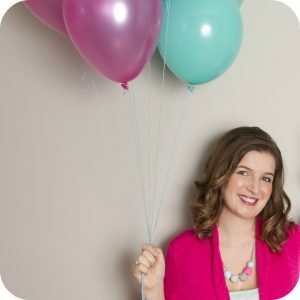 I loved it so much that I immediately uploaded it to Cricut Design Space and cut it out on my Cricut and stuck it to my sketch book. About a week later I decided that the decals on my laptop were looking pretty old and worn out, so I cut it out again and stuck them to my laptop. 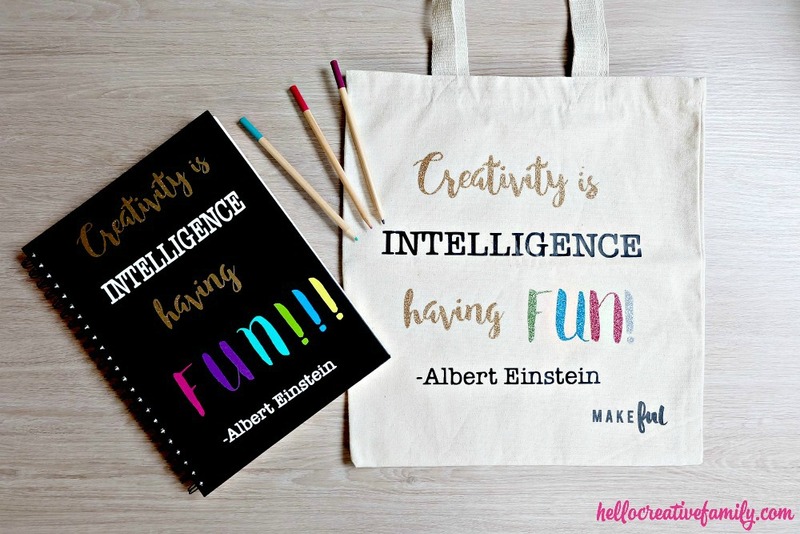 A few weeks ago, Makeful sent myself and some other creative living bloggers a canvas tote bag and challenged us to be creative and make the tote bag our own. I immediately knew how I needed to decorate the bag. I was especially excited because I had some iron on glitter and I thought that it would really make the quote on the bag pop. I’m so excited with how it turned out, and it’s the perfect little carrier for my laptop and my sketchbook. 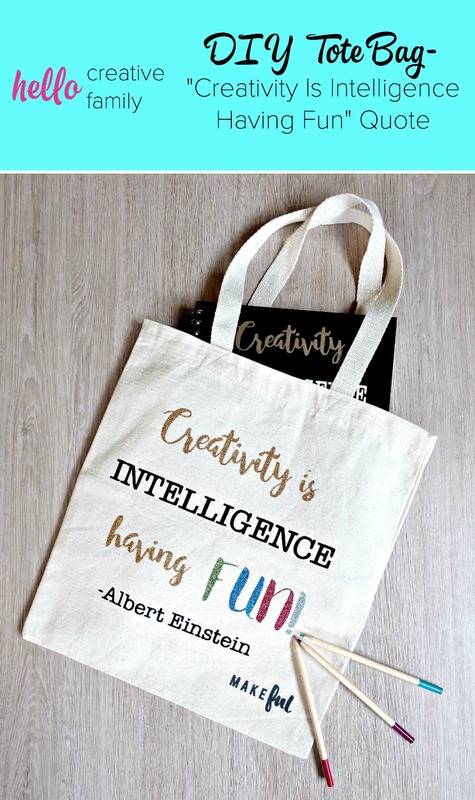 Read on to learn how I made my DIY tote bag with the Creativity Is Intelligence Having Fun quote. 1. 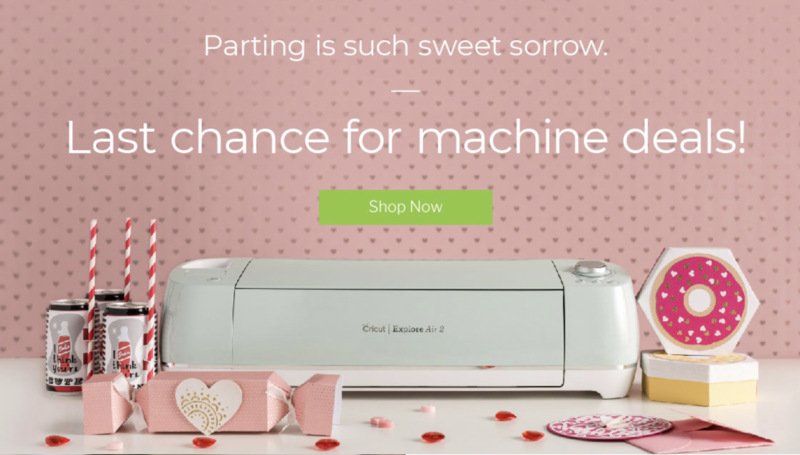 Open Cricut Design Space and design your very own “Creativity Is Intelligence Having Fun” quote. 2. 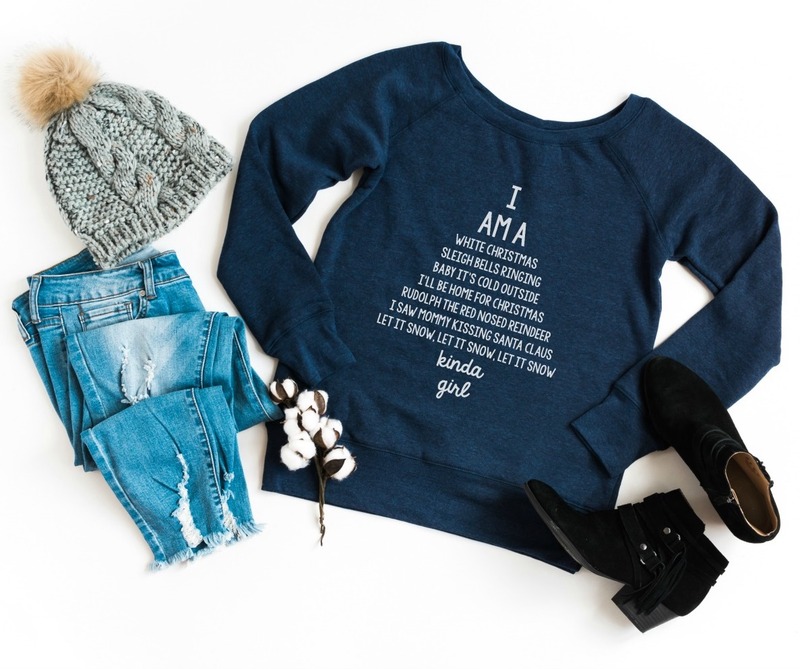 Size your words so they are the perfect size for your tote bag. 4. Make sure you have “Cut Mirror Image” clicked for each mat if you are using an iron on material. 5. Set your cut dial on your Cricut for the appropriate material that you are cutting. 6. Cut your iron on, then weed away the parts that aren’t the words. 7. Iron onto your tote bag using the instructions on the label of your iron on material. 8. 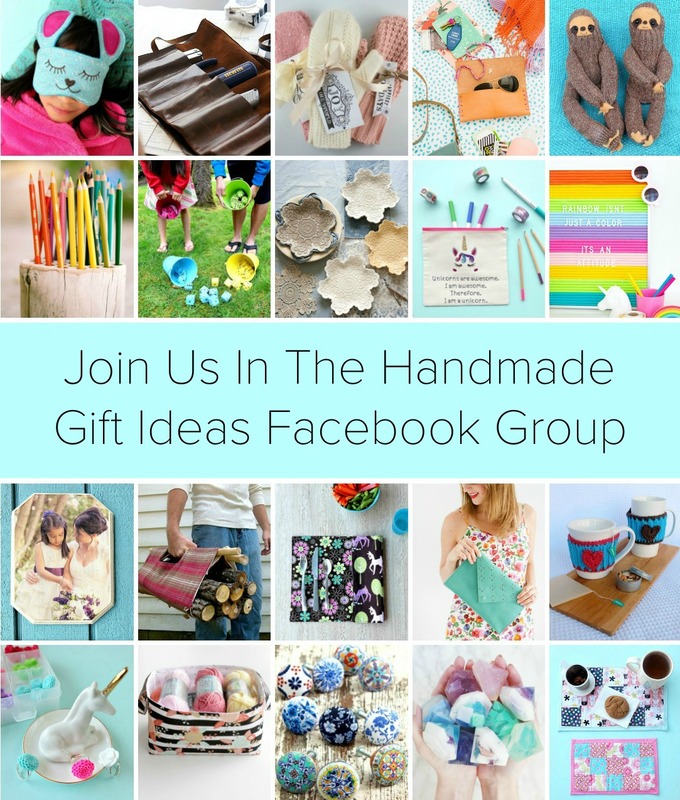 Enjoy your beautiful tote bag! 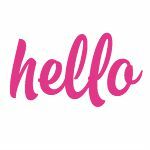 Tell me… What quote inspires you? Makeful sent me this one, however I have purchased them in the past. I’m pretty sure that Michael’s sells them. I’ve also bought them at Daiso, the Japanese Dollar Store. I’ve heard of people buying them from Ebay as well. 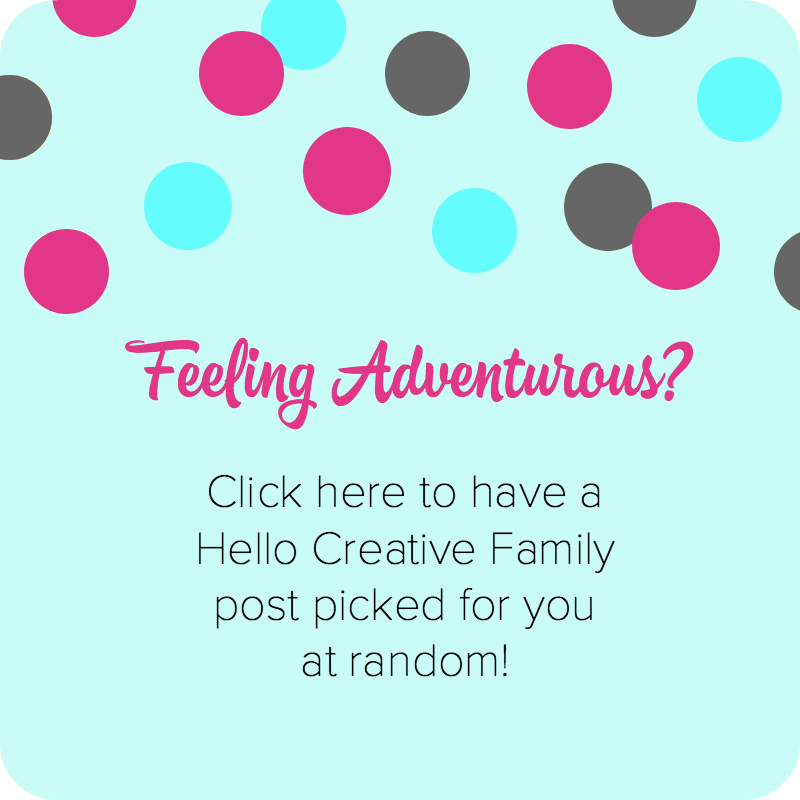 This looks fun and useful too!